Superintendent Dr. Matt Akin and district staff surprised teachers at two schools today with their selections as a 2017-2018 Huntsville City Schools’ Teacher of the Year. 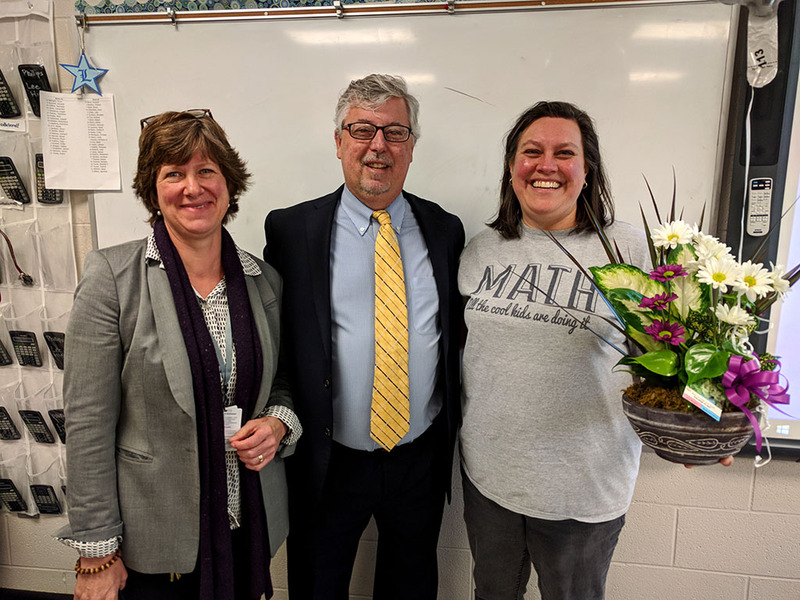 Lori Rhonemus, a fifth-grade teacher at Goldsmith-Schiffman, was selected as the Huntsville City Schools Elementary Teacher of the Year, and Rebecca Phillips, who is a math instructor at Lee High School, is the district’s Secondary Teacher of the Year. Each teacher received special surprises, including flowers, a gift card to SchoolCraft, and fifty dollars. Rhonemus and Phillips will go on to compete for the Alabama Teacher of the Year. Lori Rhonemus and Rebecca Phillips will be honored with a resolution at an upcoming Huntsville Board of Education Meeting. 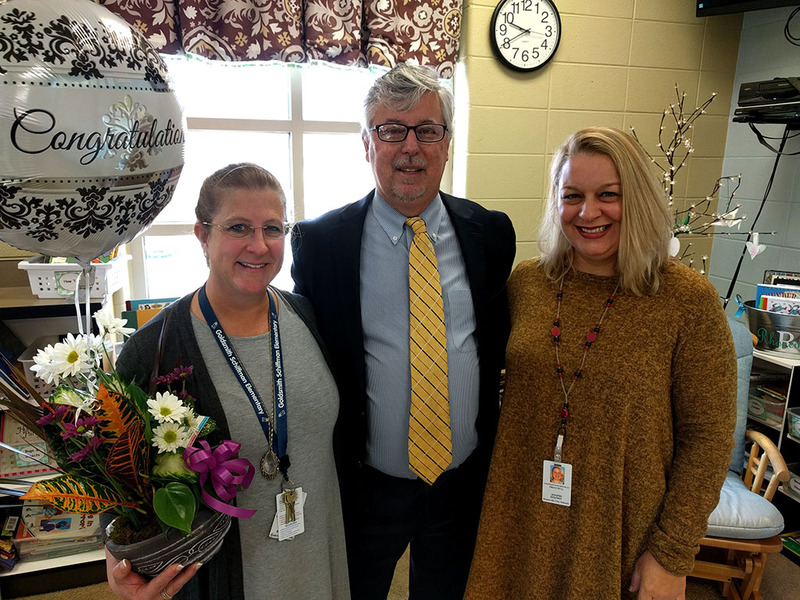 The two teachers will also compete in the Alabama Teacher of the Year Program, which seeks annually to honor and recognize excellence in the teaching profession by identifying outstanding Alabama classroom teachers at local, district, and state levels.